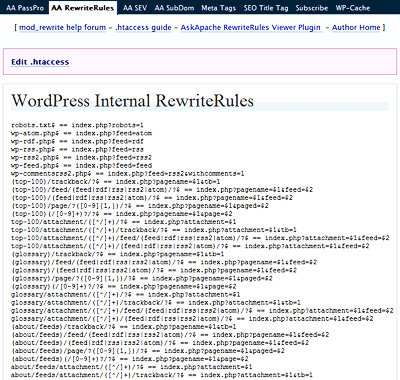 Often I am programming a plugin, or modifying my .htaccess rules, or editing a WordPress template file and I get stuck when it comes to how WordPress rewrites url's internally. 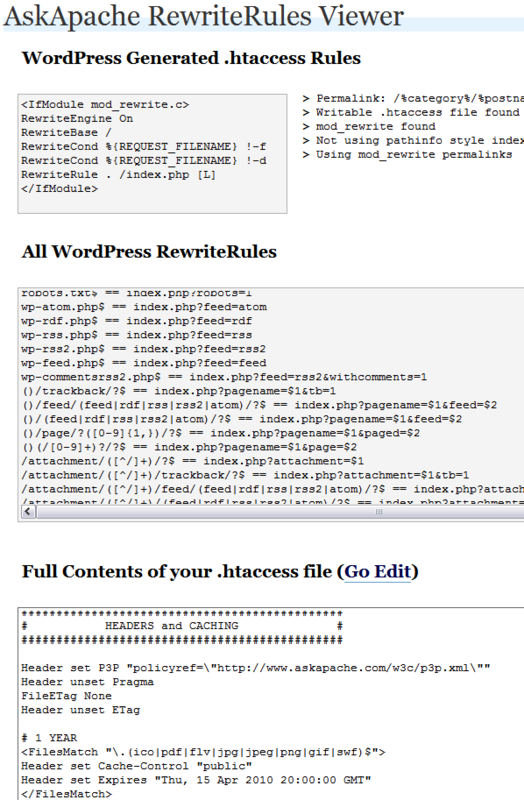 This simple plugin displays all the internal WordPress rewrites. Please Backup your entire MySql Database before you ever mess with Permalinks or rewrites. 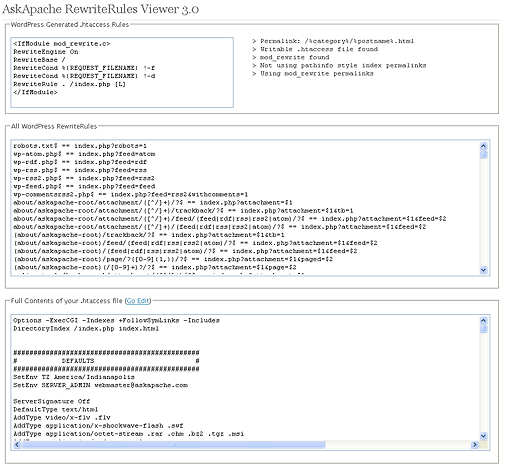 AskApache RewriteRules Viewer is a simple plugin that makes it easy for developers and code hackers to view the current WordPress RewriteRules at any time. 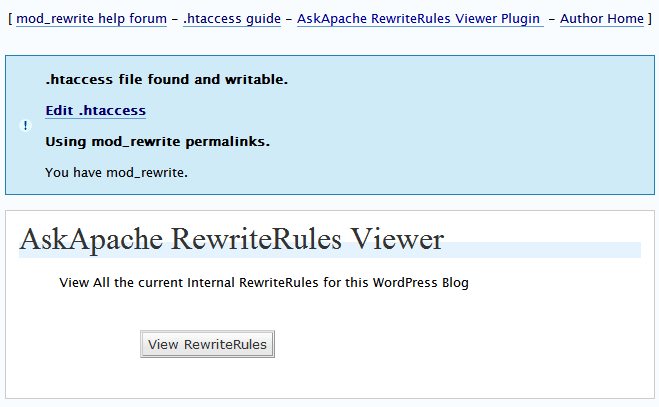 Activate the plugin through the 'Plugins' menu in WordPress by clicking "AskApache RewriteRules Viewer"
Go to your Options Panel and open the "AA RewriteRules" submenu.